Despite becoming more data-driven in recent years, public relations is still a relatively low-tech business. That’s one reason the $5 million fundraise by AirPR, which builds analytics tools to measure PR’s impact, was notable in PR and technology startup circles. Compared to digital marketing and advertising, which has only become more automated over time, our methods — particularly the generation of earned media — are exquisitely inefficient. The media relations aspect of PR is largely based on personal relationships, human judgment, and experience — all excellent attributes, but they’re hard to scale. 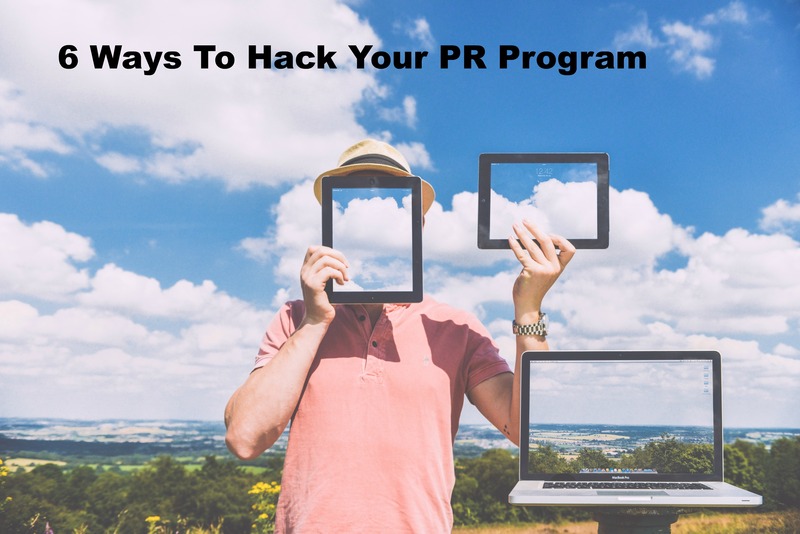 But as in any undertaking, there are ways to “hack” your PR programming. Even top PR and media relations professionals need to refresh their methods with new tools and technologies. Here are six ways to do that, with an emphasis on the all-important media relations engine. Use new tools. A basic media database tool like Cision and query site ProfNet are indispensable for media relations pros. But there are newer “hacks” like email acceleration software (we like ToutApp), and email search tools like Connectifier or SellHack for hard-to-find email addresses. Other indispensable hacks include the BreakingNews app for emerging stories, and―if budget allows―competitive monitoring engines like TrendKite. Find original data. A couple of fresh data points can add punch to a ho-hum media pitch ― especially if they’re original and up-to-the-minute. It pays to go beyond widely available stats from public-domain sources; think instead about an inexpensive, single-question surveys to probe customer attitudes about an emerging issue. Or invest in a paywalled analyst report for trend statistics to enliven an evergreen pitch. Collect and cultivate freelancers. All good PR people have relationships at key media outlets, of course. But sometimes we overlook freelancers and other “gig” contributors, whose numbers are increasing as traditional media outlets shrink. These contacts can be a gold mine of information and access, particularly when it comes to cracking morning television or top-tier print publications. Because they have their own relationships and contacts, they sometimes end up doing some of the work for us. And when it comes to broadcast media, contributors often have greater flexibility to work in brand messages or feature products than actual network television employees. Jump on foreseeable news. Thanks to David Meerman Scott, nearly everyone knows the term “newsjacking” — hitching a ride on a breaking story to generate attention for your client. The challenge here is timing; news breaks faster and faster, and the window of opportunity to jump on a story is shrinking. That’s why so many brands are looking at real time marketing as the social media version of newsjacking, with a broader window and greater control over a socially shared piece of content. A great example is Excedrin’s recent social hashtag campaign tied to the third and final presidential debate. #DebateHeadache hashtag was obviously prepared well in advance, but its tone and timing gave it an air of immediacy and even news value. Conduct media training early. I’ve been hesitant to do a full-blown media prep session at the outset of a program because there can be a time lag between a PR program start and a key media opportunity, but it’s a useful hack. One reason is because it’s nearly always a learning experience for client and agency, with new information coming up in practice interviews and discussions about messaging and sound bites. And there are practical reasons to prep early. As noted, many media interview opportunities arise suddenly without the chance for a formal session. A prepared spokesperson always gives a stronger interview, and a stronger interview makes a better story. Ensure social sharing for big stories. There was a time when we were content to land a top-tier profile for a big announcement and we thought the job was done. No longer. Today a good media relations pro will negotiate to secure favorable timing and messaging for the piece, but also to ensure that the content is amplified through social media sharing. Most journalists have large followings on Twitter or Medium, and they’re eager to build their personal brands by promoting the stories they create. So every PR person should work with journalists to make content shareable and shared. An earlier version of this post appeared on MENGonline on October 26.